A small capital with a huge reputation. Dublin will not disappoint. Located on the River Corrib where it meets the Atlantic on Ireland’s west coast, Galway is a bohemian, arty and cultural city. Built on an island between the two arms of the River Lee, Cork is imminently walkable. 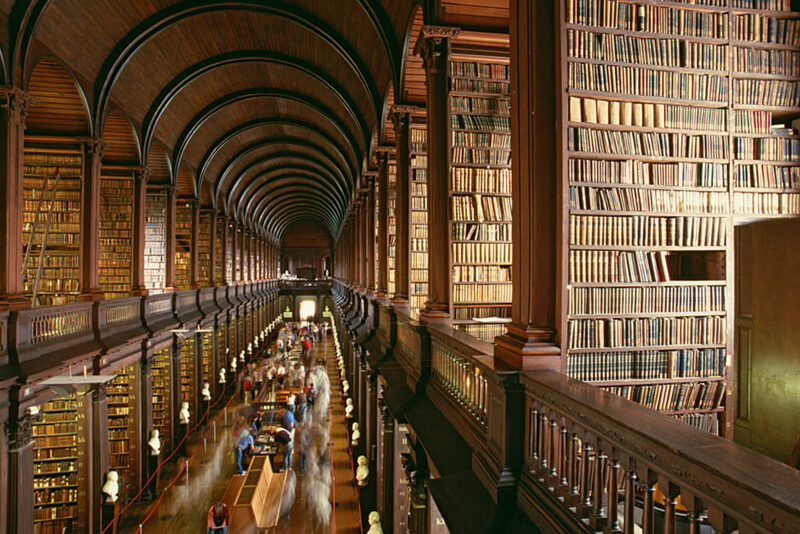 The Long room in Dublin’s Trinity College, the country’s most prestigious university. The College is home to the celebrated Book of Kells, an 800-year-old illuminated manuscript of the Christian Gospels in Latin. 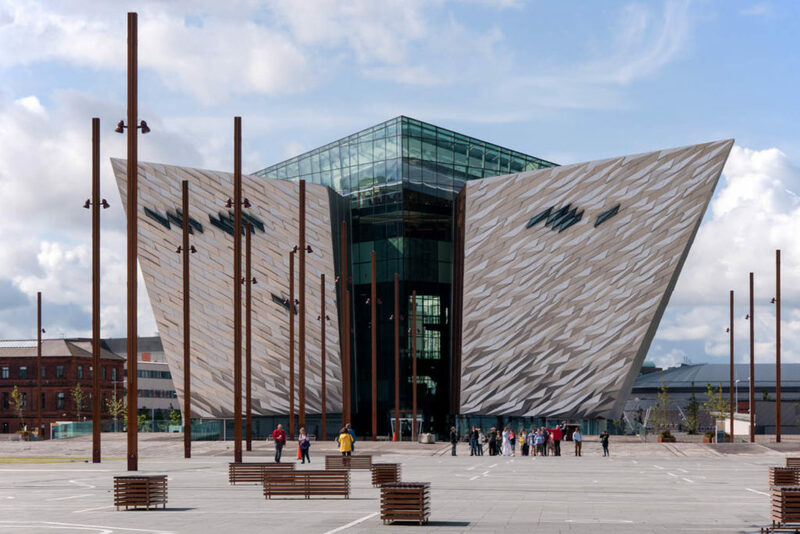 Once a shipbuilding city, Belfast today has morphed into a hip and happening tourist hub. 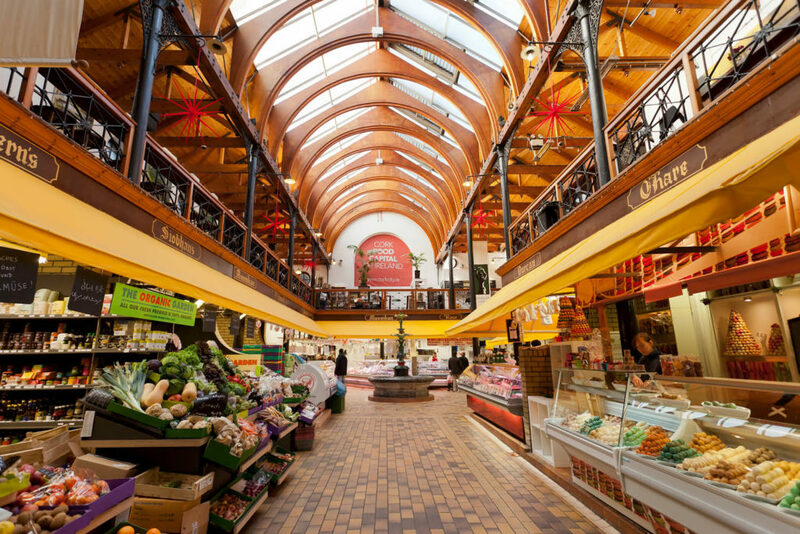 The English Market, which has been serving Cork since 1788 is home to a proliferation of small producers and artisan craftspeople. While thoughts of travelling in Ireland often elicit images of rolling green hills, mythical scenery and windswept beauty, her cities beckon just as intensely. From the food-lovers haven of hip Cork, to the historic shipbuilding city of Belfast, the lively Dublin, and the lesser-known Galway, Ireland’s city are often the best way to get to heart of this incredible country. Writes Tricia Welsh. 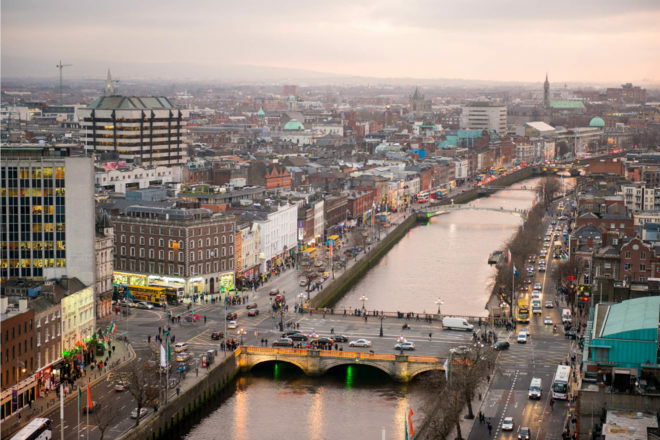 With a population of some half a million, Dublin is often the first taste of Irish hospitality for many visitors (especially given its proximity as a first-stop gateway to the rest of Europe). More like a large, welcoming town, it straddles the narrow River Liffey with its 24 or so bridges – including the quaintly named cast-iron Ha’penny Bridge, so called because the original builder of the bridge was granted the right to demand a ha’penny toll from those using it for 100 years – that bind the riverbanks together like a closely wound truss. History courses through the Viking city’s cobblestoned streets from Dublin Castle, the bastion of English colonial administration for 700 years under Norman rule until 1922, to the neoclassical buildings and elegant private homes of Georgian Merrion Square, and stately Trinity College, the country’s most prestigious university. The College’s celebrated Book of Kells, an 800-year-old illuminated manuscript of the Christian Gospels in Latin, is perhaps the most prized artifact on display. 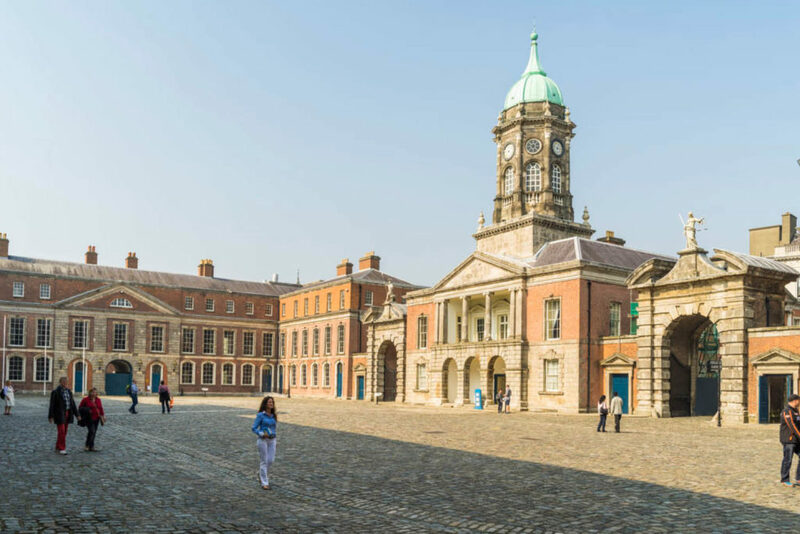 The city also boasts fine museums and excellent art galleries, but it’s the music, the dry wit and the conviviality of Dubliners that lure most visitors. Cosy up in one of the restaurant and bistros that abound in the capital, showcasing the quality of the seasonal local produce and highlighting the burgeoning foodie scene across the island. Try The Winding Stair, a local institution with a bookshop on the ground floor and a menu of honest home cooking and micro brews upstairs; the classic bistro and cocktail bar Pitchet helmed by award-winning chef Stephen Gibson; Fallon & Byrne, with its well-stocked wine bar in the cellar, expansive food hall making the most of the historic features of the building, and restaurant upstairs with its slow food ethos; the bustling Coppinger Row where a Mediterranean menu is constructed from the best Irish produce; or French fine dining in historic Georgian surroundings at Dax. Head for the historic district of Temple Bar to sing along with live musicians who entertain in colourful pubs while impromptu buskers play fiddles and tin whistles in the streets. Oliver St John Gogarty. Donoghue’s, The Long Hall, Kehoe’s and The Stag’s Head are among the best in the district and nearby. Follow the locals to busy Grafton Street, where high fashion rules at the quintessentially Irish Brown Thomas department store. Elsewhere, look for the Irish Design Shop, with its lovely selection of local artisan-made products; cosy cashmere and mohair throws from Avoca Handweavers; Ulysses Rare Books; the Kilkenny Shop; and Costume for innovative fashion. Locals refer to Cork fondly as the ‘real capital of Ireland’, likely because of the city’s strong traditions and vibrant culture. In the 18th and 19th centuries, it was a lively cosmopolitan city and the last provisioning port for both European explorers to the Americas and the British Navy in the Atlantic. Today, it’s just as magnetic and, with a renewed focus on food, it has also become the country’s foodie capital. The proliferation of small producers and artisan craftspeople in County Cork is astonishing, all plying their goods at the atmospheric central English Market, which has been serving since 1788. Look for traditional Cork specialties such as drisheen – a type of blood sausage – preserved buttered eggs, spiced beef (which is marinated or cured in salt water with herbs and spices and then boiled), and battlebord, dried salted ling fish. When you are finished shopping, lunch on market fare in the upstairs Farmgate Café. Much of the top produce sold in the market finds its way onto the menus at Market Lane, and the fine vegetarian diner, Café Paradiso, both of which are among the best tables in Cork. For a pint or two with the locals, head for Sin É or Callanan’s on George’s Quay. Built on an island between the two arms of the River Lee, Cork is eminently walkable and has a population of just 120,000. 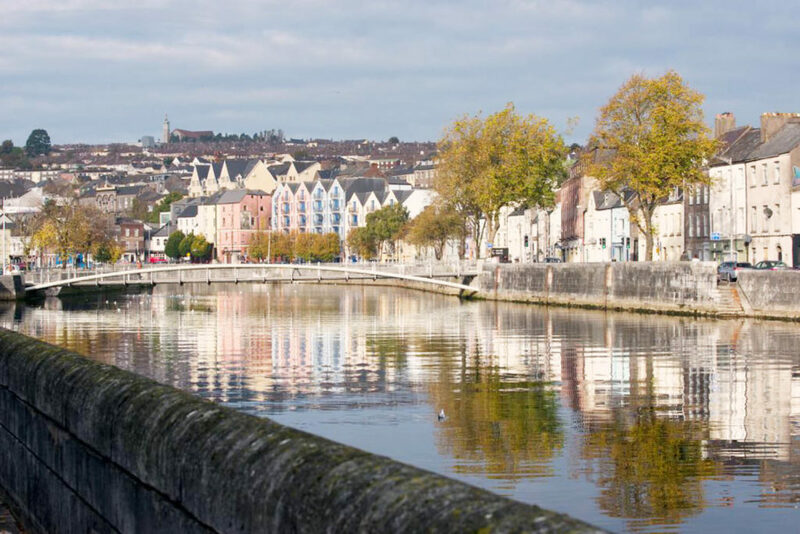 Pick up a copy of the Cork Walks leaflet and enjoy city views from this northern hillside precinct discovering antique shops, cafes and galleries as you go. Once a shipbuilding city, Belfast today has morphed into a hip and happening tourist hub. Luxury apartments now grace the old shipyards in what is now the Titanic Quarter (named after the famous, ill-fated ship), while some ships have become museums along the revived waterfront. With its graceful, restored Victorian architecture, vibrant food scene and iconic pubs, the city is totally transformed. You can tour the political murals of West Belfast, a stark reminder of earlier troubled times, but visitors still come to listen to traditional music in its colourful pubs. Head to the Barking Dog for its seasonal menu and award-winning burgers; the light and modern OX; Mourne Seafood Bar; or Holohan’s on the Belfast Barge on the waterfront. Seek out the Duke of York in the historic Cathedral Quarter, the wonderfully ornate National Trust-owned Crown Liquor Saloon, which has been lovingly restored to its original 1826 glory, Kelly’s Cellars – the city’s oldest traditional pub, first built in 1720, and Maddens Bar. 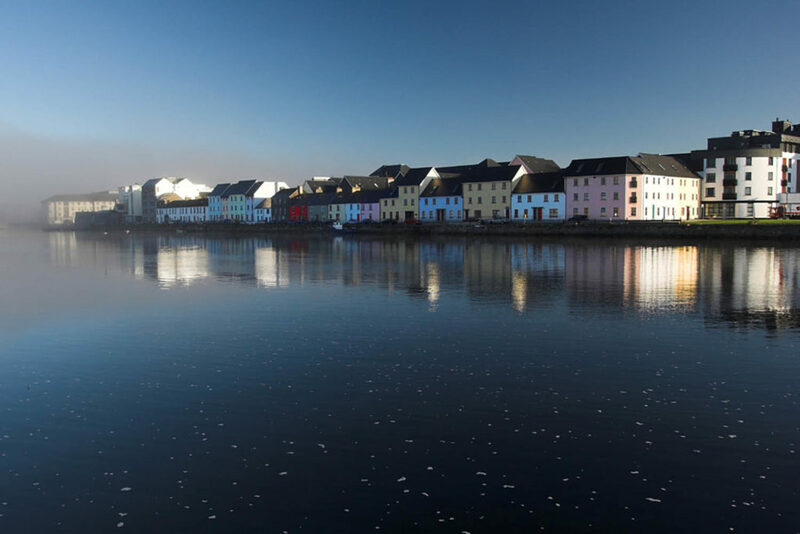 Located on the River Corrib where it meets the Atlantic on Ireland’s west coast, Galway is a bohemian, arty and cultural city of maze-like cobblestoned streets, postcard-pretty shopfronts and a lively cafe/bar culture. Home, each July, to the Galway Arts Festival, the largest of its kind on the island, it boasts art galleries in the meandering lanes of the Latin Quarter within portions of the old medieval city walls, and is known for its own unique brand of fun, lively conversation and entertainment. Peckish? Consider dining at Kai Café and Restaurant, Ard Bia, McDonach’s or Aniar whose modern Irish fare is based on Galway and Western Ireland produce and has earned it a Michelin star. Perhaps the country’s liveliest city, its myriad pubs entertain with everything from traditional musicians playing fiddles and spoons to young hipster bands – some pubs are still warmed by turf fires. Seek out The Crane Bar, Tigh Coili, Roisin Dubh and Monroe’s Tavern for regular Irish dancing. The Galway International Oyster And Seafood Festival takes place from 22-24 September at Galway Bay.